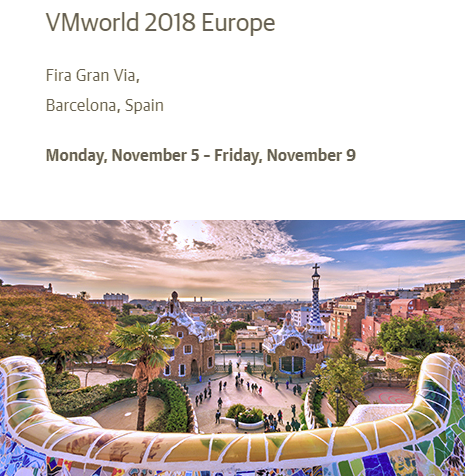 VMworld EU 2018 it’s now over and it’s possible shared what’s happened during this event. First to all: when and where will happen VMworld EU 2019? Again in Barcelona and it’s planned on 4-7 November 2019! To get the latest news and be updated on the future event, you can become a VMworld Insider. The two general sessions are available online and you can watch them on the VMworld web site. The first keynote (Technology Superpowers) was first a celebration for the VMware 20th anniversary and the VMworld EU 10th anniversary! Then, Pat Gelsinger, VMware CEO, and Ray O’Farrell, VMware CTO, have shared the superpowers needed to navigate the disruptive world of technology describing how VMware is shaping the future of cloud, mobile, networking, and security – as well as innovating in emerging areas like IoT, artificial intelligence, machine learning, edge computing, and containers. In the second keynote (Pioneers of the Possible) Sanjay Poonen, COO, VMware Customer Operations, will kick off the second day in conversation with several customers who have bravely taken the digital transformation path. Most interviews were designed to demostrate how enterprise warriors like you have transformed the business by embracing the software-defined data center, hybrid cloud, cloud native, and digital workspace solutions – preparing their organizations for the future. Then Robin Matlock, VMware CMO, host Martha Lane Fox, British businesswoman, philanthropist and public servant. She is also a Commander of the Most Excellent Order of the British Empire, an honor awarded by the Queen of England. Baroness Lane Fox is the founder and executive chair of Doteveryone.org.uk, an independent think tank and charity championing responsible technology for a fairer future. She shared her perspective on innovation, education and the development of responsible technology. What really was missing this time was a real keynote talkin about the technical news… sign that VMworld is become more and more targeted for the C-Level and less technical (at least in the keynotes). 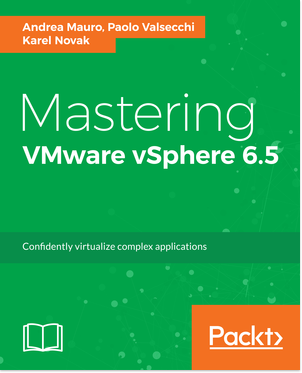 About the big announcement, something have already been announced at the VMworld US 2018, but there will other news. First the announce of VMware Cloud Foundation 3.5 the VMware’s unified SDDC platform for the hybrid cloud and based on VMware’s compute, storage, and network virtualization technologies to deliver a native integrated software stack that can be used on-premises for private cloud deployment or run as a service from the public cloud with consistent and simple operations. Finally update to the last version and including the full support for NSX-T! And the new vRealize Suite 2018 that helps embrace multi-cloud strategy with enhanced support for AWS and Azure and workload migration planning across multiple clouds. 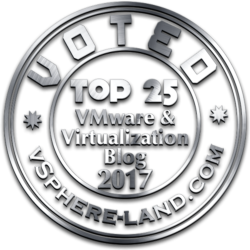 Of course there was also the place for VMware vSphere Platinum, but here there was really nothing new compared on what’s happened at VMworld US 2018. There was space to talk about the acquisitions, like the already consolidated acquisition of CloudHealth Technologies, but also the new acquisition of Heptio, and a comment about the IBM that is acquiring Red Hat. Yes lot of space to IBM in the first keynote. The breakout sessions where instead more technical, at least for the sessions that I followed (I notice an improvement of the quality compared on some years ago). Some sessions are already available in the On-Demand Video Library. Then what? Also if probably was the biggest VMworld EU edition, it remain always the “younger brother” of the US edition with the issue to be too close at the biggest event… but also for next year nothing is changing. 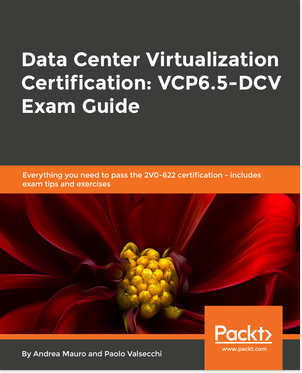 But it remain valuable for the networking, for the social events, for the community, for the lab, and all what really define an event like the VMworld. And the numbers demostrate that still is one of the most interesting event.